Justine Cogan is a photographer who specialises in capturing and celebrating the human body. Her images are not boudoir but designed to celebrate oneself and inner beauty. By stripping off ones layers Justine aims to help empower individuals and overcome insecurities by capturing their inner strength. 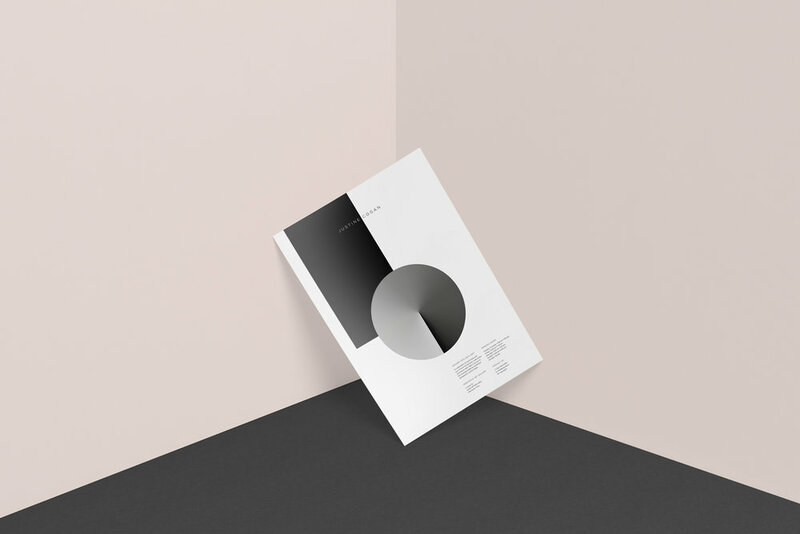 The circle gradient is something we have seen many times but it is the interpretation of the graphic device in this instance that makes it unique and brand worthy.